Back in the day, they made tires here. 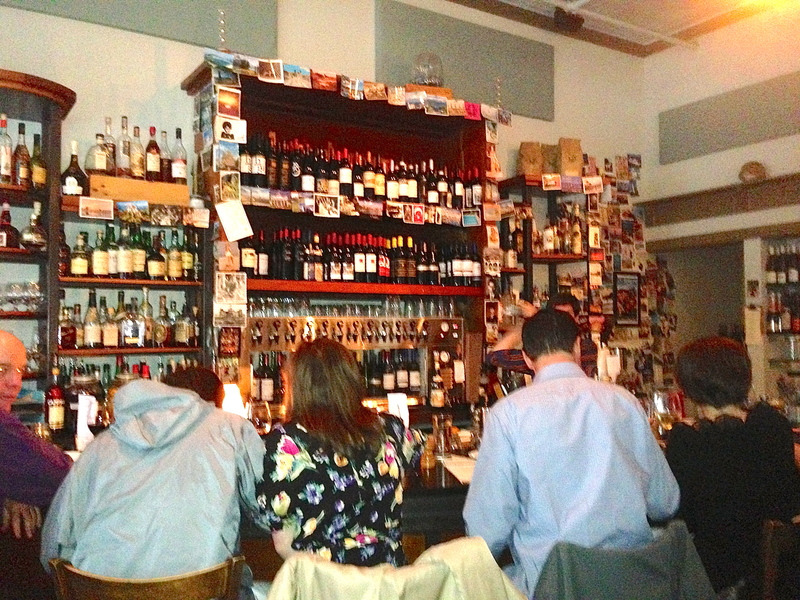 The interior space is pretty small, with a bar on the left and the dining room on the right. Bottoms up! The bar is on the left. Table for four? The dining room is to the right. 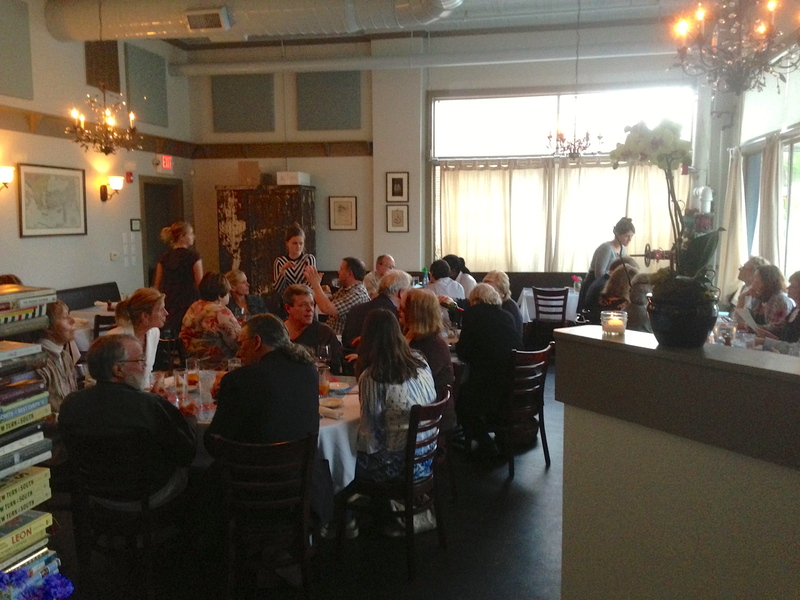 The dining room is small, crowded and loud. This place is packed and the patrons are enjoying themselves. There’s a lot of energy in the room. We usually start off with beers, but we have been to a reception before dinner and must drive back to Atlanta after dinner, so we are not drinking tonight. As for the college kids, they are going to a party later and are saving themselves. 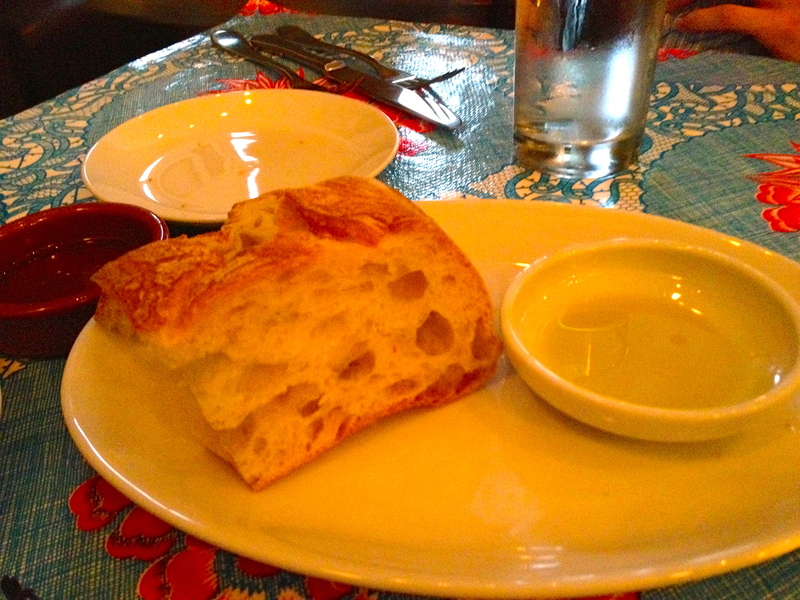 Fresh bread and olive oil greet us right after we sit down. The perfect way to start a meal. We order two “firsts” from the top of the menu. 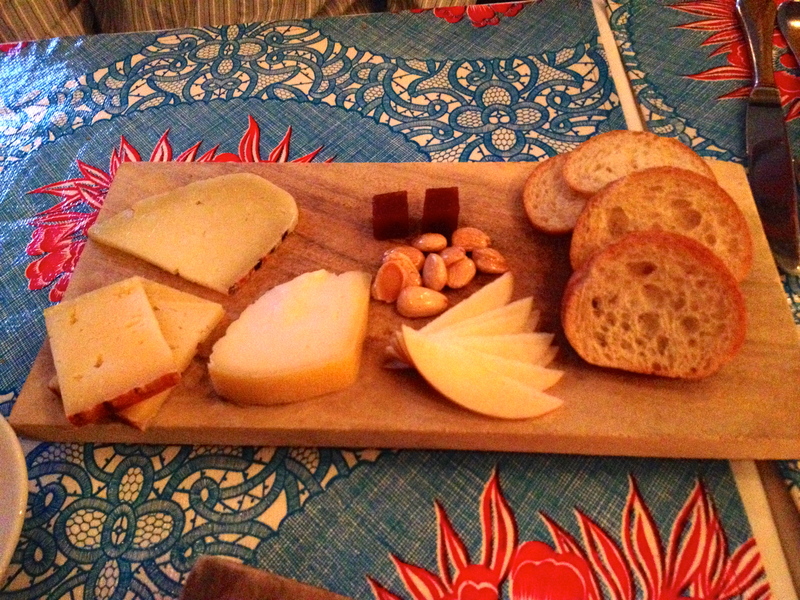 Cheese, almonds, apples, quince and crostini. The cheese platter has a sheep, cow and goat cheese. They have some almonds, apple, and quince on it as well. A small quibble: nobody tells us what cheese is what, and we are left to figure it out on our own. It is a delicious platter that would be even better with some local honey. Now you know what a “pizzette” looks like. There are two pizzettes on the menu, a vegetable and a meat. 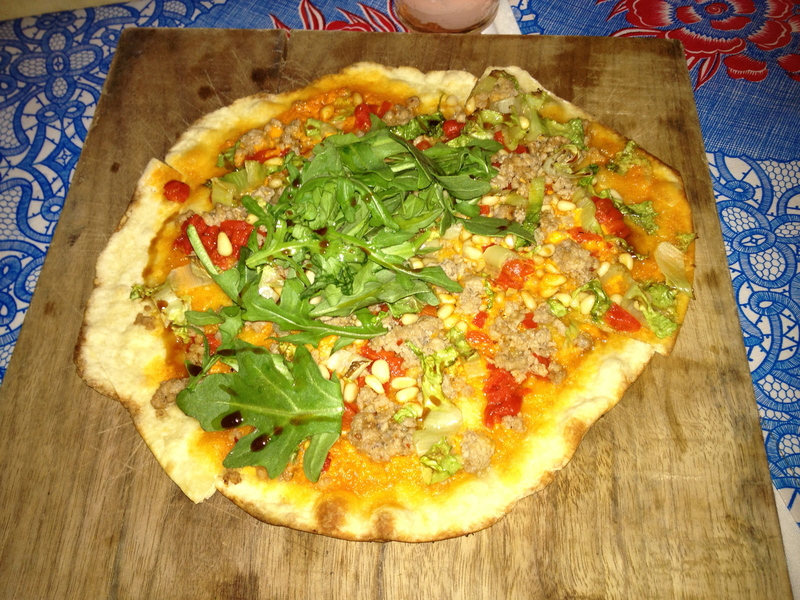 We have the meat pizzette featuring sausage, escarole, pine nuts and arugula. There’s a lot going on here, and the flavors blend together to form a memorable taste. This one disappears pretty quickly. It’s time for the main course, or what The National calls “seconds”. We are with two “starving” college students who each get their own dish. Hanger steak, nice and pink in the middle. 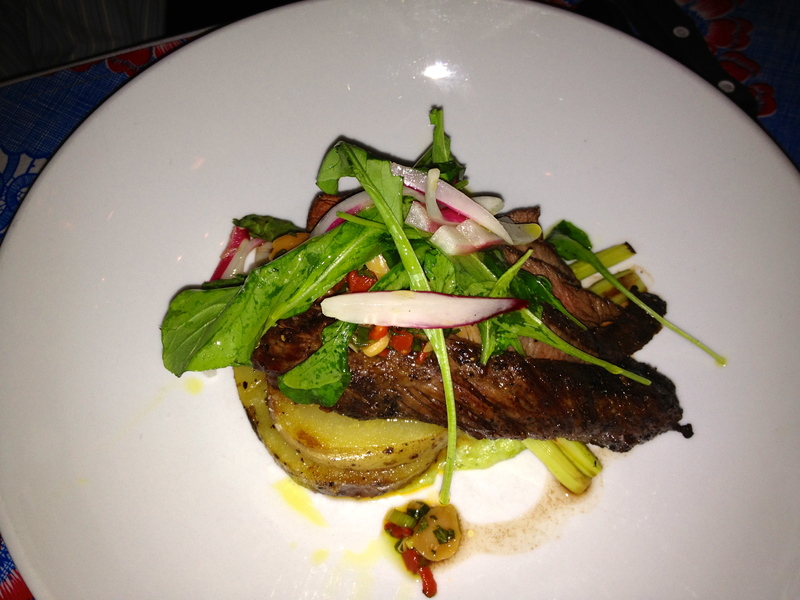 Evan orders the hanger steak, which comes with potatoes, asparagus and some garnishes. It’s nice and tender and a beautiful pink in the middle. He really likes how the juice from the meat soaks into the potato. The daily special, the flounder. Elliott orders up the daily special, which tonight is flounder. It’s seared crispy on the outside and moist on the inside. 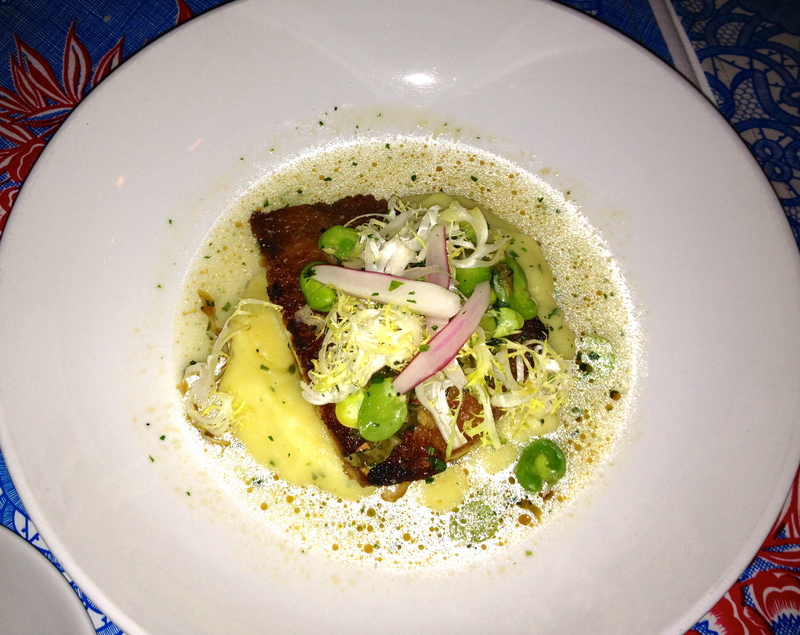 There are potatoes and fava beans in the dish as well. My date and I split a vegetable plate, so this photo is half an order. 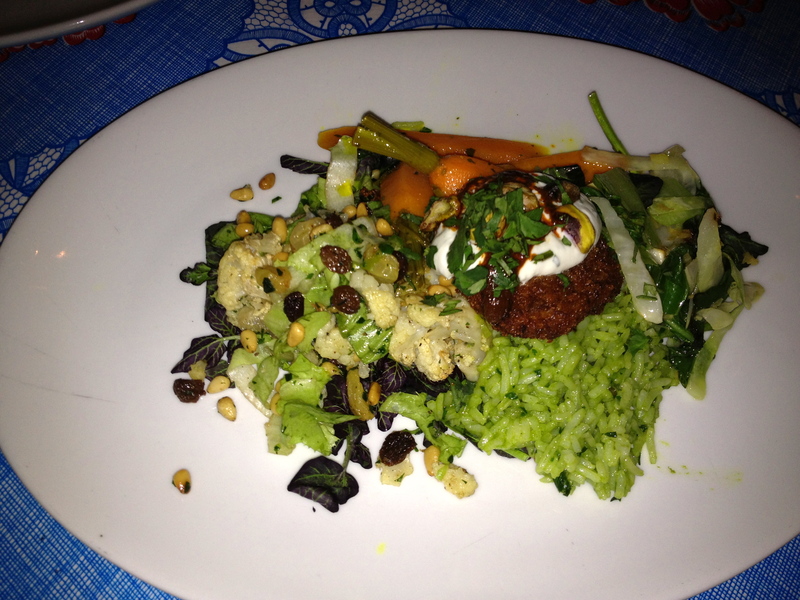 There are many different things on this plate including basmati rice, a sweet potato fritter, roasted cauliflower, spinach, and some wonderful ginger carrots. This turned out to be a filling plate that had so many different flavors in it. It is not filling enough to keep us from dessert, though. We order a very small “birthday cake” for the table. 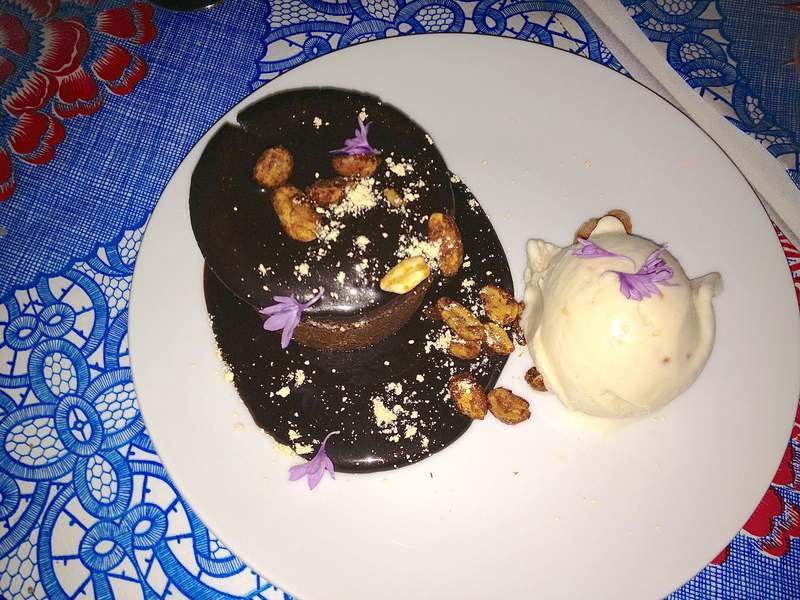 Chocolate cake with peanut butter gelato. It’s chocolate cake covered in chocolate sauce. The peanut butter gelato is a light topping to a rich dessert. The only thing we don’t do is lick the plate, but I do think about it. 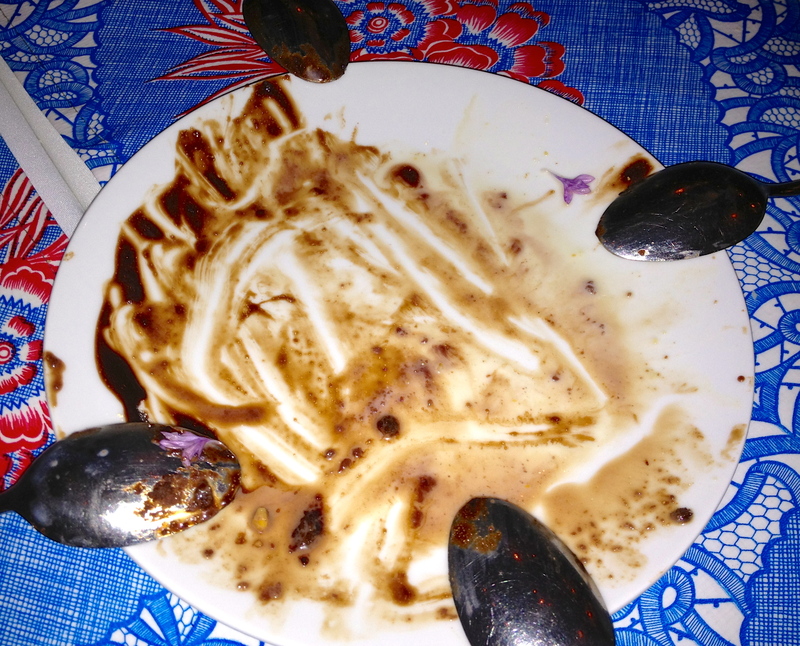 This is a fantastic end to a fun meal. On our drive home to Atlanta we reflect that we always get such good meals in Athens. 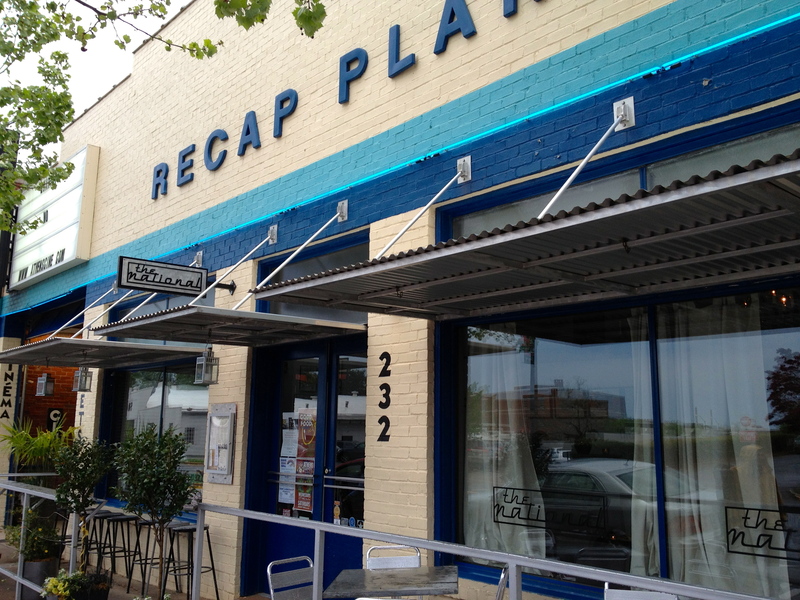 Atlanta foodies should look for an excuse to get to the Classic city. They are cooking up a storm and it’s worth the drive.